Dupler Office teamed with Design Collective and Cameron Mitchell Restaurants (CMR) to create their new headquarters in the historical Buggyworks building. The intent was to extend the experience that CMR’s guests receive in their restaurants into their work environment. 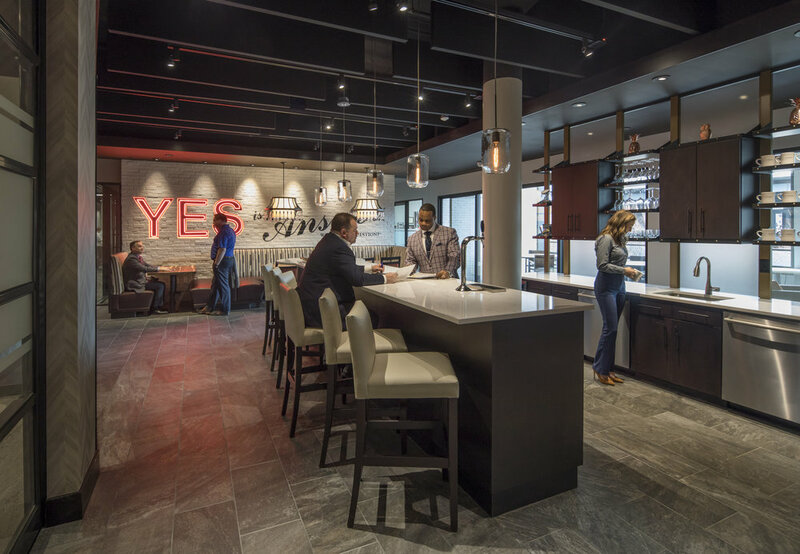 “YES” is the answer, and CMR’s new space supports the team that answer’s all the questions.